-“Kids Benefit From Having a Working Mom” by Carmen Nobel, Harvard Business School Working Knowledge. Awesome, right? My work is not just for my own intellectual stimulation and health benefits. Rather, I’m shaping the future of my children’s success in the work world! Woo hoo! Speaking of shapes, what IS that shape over there dangling from the ceiling of my esteemed workplace? 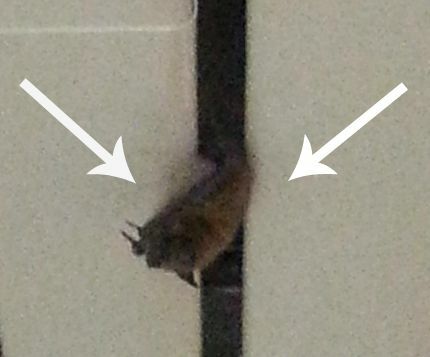 Yes, I work in a place where we actually find bats. We have “bat people” who come and get the bats when they turn up. 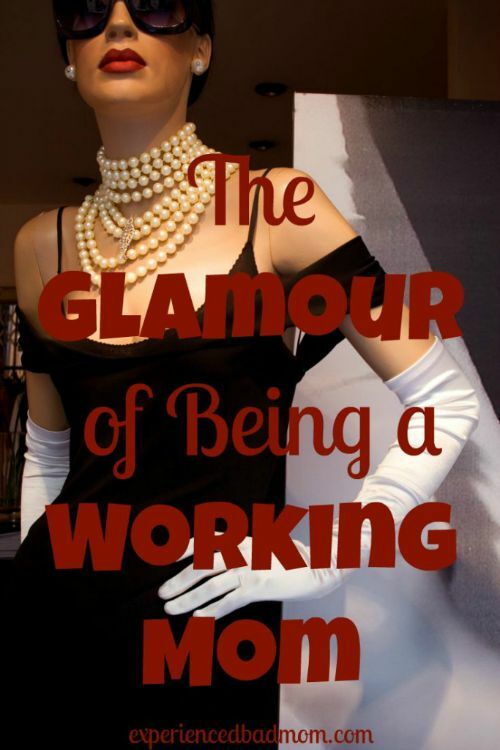 And, as I further considered where I work, I realized that there are many, many glamorous facets of my workplace. 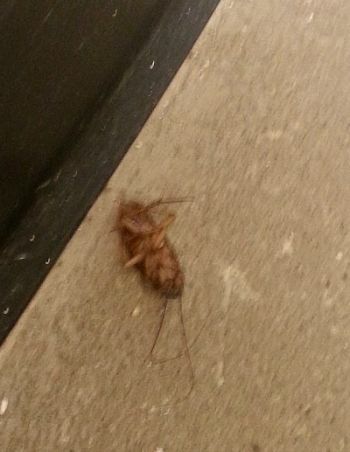 Cockroaches. I see a couple of these a week. The good news? Most, but not all, are belly up. A broken sink in the bathroom. 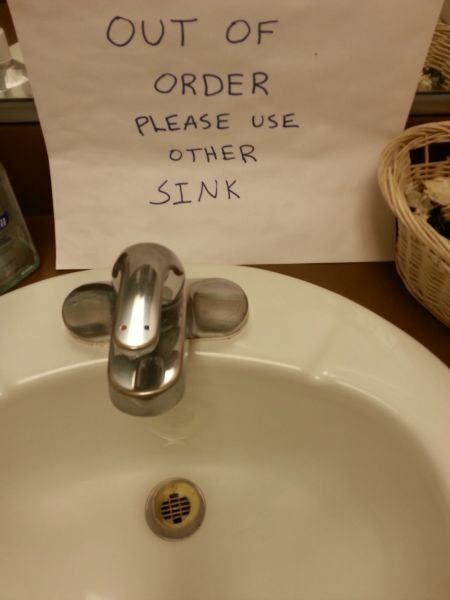 This one’s been broken for 2 months, but because we have 1 working sink, there’s no rush to fix the broken one! Two out of five working elevators. I swear, our elevators look like something out of a horror movie. On the bright side, the fact that most of them don’t work is good for the soul and the waistline, kids. Mommy works on the 10th floor so it’s a crapshoot whether or not she has to climb stairs every day. 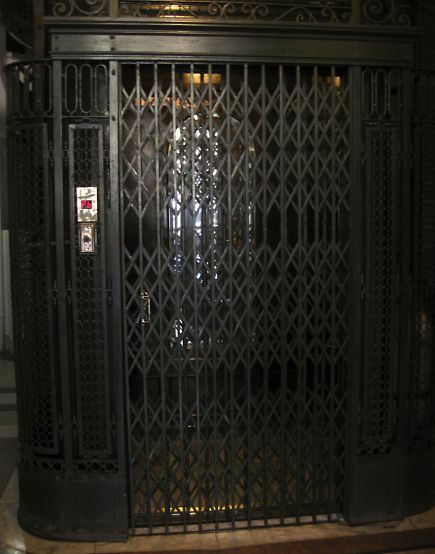 This actually is NOT an elevator at my workplace. No, this is much nicer and probably works a lot better! 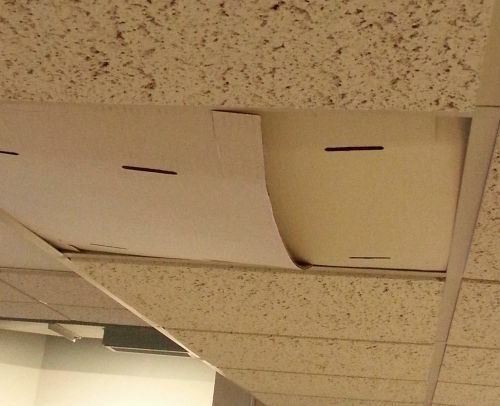 Cardboard ceiling tiles. At least they are better than asbestos?! To be fair, I work in an old building and I’d like to think the powers-that-be are simply doing the best they can. Nonetheless, I’ve already cleaned my calendar for the next Harvard Business School study on working moms. I bet they can’t wait to study how a woman’s workplace filled with bats, cockroaches, broken sinks, bum elevators, and cardboard ceiling tiles equal greater success for her kids! Now I’m curious about your surroundings every day, whether at home or the workplace. Does it have pests? Brokenness or quirks? What would you change if you could? I guess it just comes with the territory! Ha, what a great post. Yea working in an old building is sure interesting, and I bet you have a lot more stories than having the “bat guy” come by every now and then.